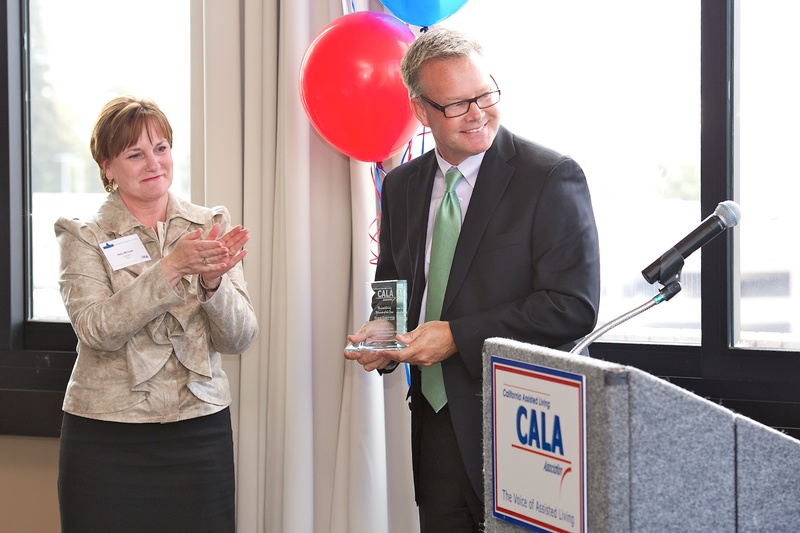 For his ongoing leadership and advocacy of senior care issues, ActivCare Chief Operating Officer Todd A. Shetter was named Advocate of the Year by the California Assisted Living Association (CALA). Todd's continued commitment to working for seniors and senior health issues and ensuring quality dementia care has garnered recognition among his peers and the senior care industry. Todd has been devoted to increasing awareness and providing valuable resources for caregivers and their families for more than 24 years. For eight years, he has hosted free Town Hall Forums for family caregivers inviting industry and medical experts to provide tips and information about Alzheimer's and related dementia. He also created an online resource, Alzheimer's Care Solutions, to disseminate information and promote discussion topics for caregivers. Todd also produced a video series about specialized assisted living care inviting caregivers to share their stories. As a longtime board member of CALA, he has chaired the Public Policy Committee and worked with political leaders to ensure that senior care has a voice in governmental policy. Read more here:Shetter Named Advocate of the Year. Congratulations to Todd for receiving this distinguished honor.